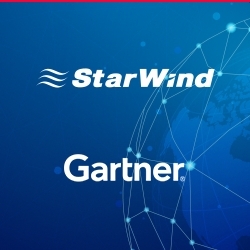 Middleton, MA, January 11, 2019 --(PR.com)-- StarWind was named a Niche Player by Gartner in its 2018 Magic Quadrant for Hyperconverged Infrastructure for its completeness of vision and ability to execute. StarWind believes this recognition to be a result of putting a lot of effort into developing flexible and high-performance hyperconverged solutions tailored to satisfy their customers’ evolving expectations for IT environments. StarWind’s HCI offering includes StarWind HyperConverged Appliance (HCA), StarWind Virtual SAN (VSAN), and StarWind Virtual Tape Library (VTL).